I could not put the Waffle Flower stamp set away yesterday…I made a few more ombre backgrounds. Supplies: Stamps – Gina K. Designs, Waffle Flower, paper – Neenah Classic Crest Solar White, Stampin’ Up! Basic Black, inks – Tim Holtz/Distress Ink Abandoned Coral, Picked Raspberry, VersaFine Onyx Black, sequins – Pretty Pink Posh, embossing powder – Stampendous Detail clear. 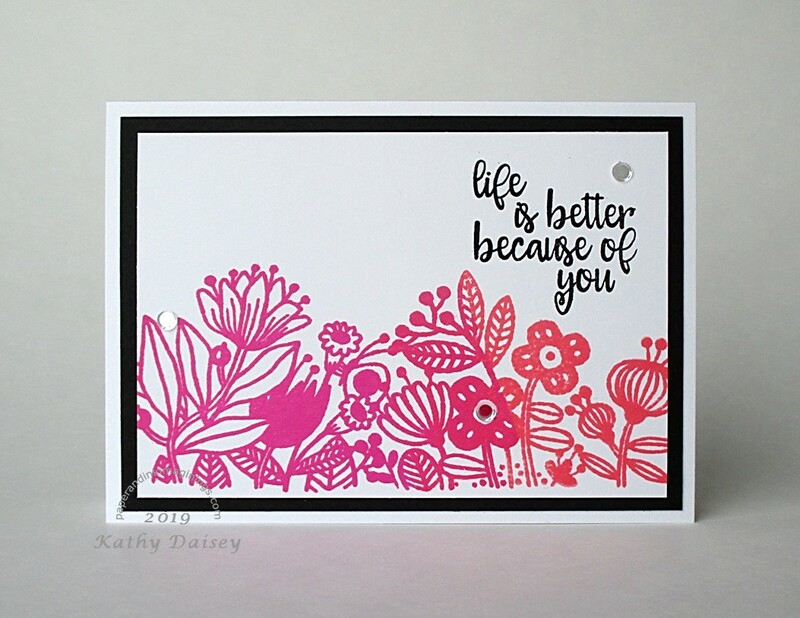 Categories: card, encouragement, thanks | Tags: card, Gina K. Designs, Neenah, Pretty Pink Posh, Ranger, Stampendous, Stampin' Up!, Tim Holtz, Tsukineko, VersaFine, Waffle Flower | Permalink.